If it’s possible for our culture to sift through the bin of radio flash hits and other current pop-pourri to find the glorious anthem for the millennial generation, we should not be surprised to find Sia’s “Chandelier” in everyone’s hands. With its club-appropriate rhythm and soaring melody line, the song seals itself into the current trend like a wax impress. Yet, it is not for its depiction of the carefree, YOLO-drunk culture that endures the via dolorosa of the work week for the olympic burn of the weekend that makes “Chandelier” such a manifesto. 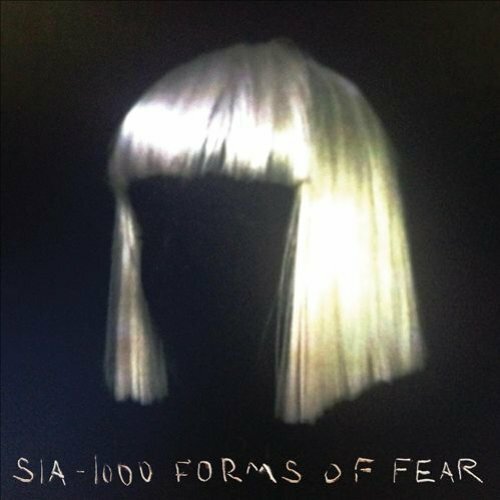 I contend that it is Sia’s painfully bleak and somber delivery of the song’s keynote theme – that, to quote Millay, when the candle burns at both ends, it tends not to last the night – which makes the song such a puncturing truth in the already scabbing wounds of a fallen world. This tale of the “good time” girl is further poured over in irony as Sia claims to “feel the love” of all those committed Christian knights of chivalry who noticed her cries of need and distress inked on the tile of a restroom wall. What a sadness when the damsel appropriately located at a great height (a dual image meant to highlight the lady’s dignity, worthiness, and elevated status of respect and courtship on the one hand along with the gentleman’s need to prove his worth in bridging the distance through strength, perseverance, and courage) has taken the elevator to the basement to scrape out any breathing male with the right jeans and beard to go home with. As a lead into the chorus, we are collectively baptized into the river of wine, begging for it to be changed into Lethean waters (“Throw ’em back ’til I lose count”). Perhaps forgetfulness and oblivion are the answers to our struggles, we believe. It would seem our culture wishes to counteract the crystal clear Word of the Lord with an indiscriminate blare of a trumpet in which no one is called to arms (I Cor. 14:8). Be gone with the precision of orbiting planets, the order of the stars, we raise high the banner of Haze and Ambiguity (kind of…I think…I don’t really remember, you know?)! The mantra of the song is Sia’s devastatingly desperate “holding on for dear life,” a powerful phrase to describe the plight of our current generation. We are not living for dear life; we are just trying to hold on as it soars along. Holding on to a glass of vodka like your frail fingers are pinched around the rubber grip of a handlebar as the motorcycle of your weekends rockets at a hundred down the freeway. Holding on to your high school years like sleeping in pajamas and a letter jacket. Holding on to an unrequited love like a businessman jabbering away on a call that was dropped three tunnels ago. This is the sad reality and potency of “Chandelier.” Our culture is longing for meaning, purpose, wild beauty, and eternally-secure and satisfying truth, only to howl in one accord of dismay when the places they look seem only to offer cigarette butts, drops of gin, and phone numbers in Sharpie.